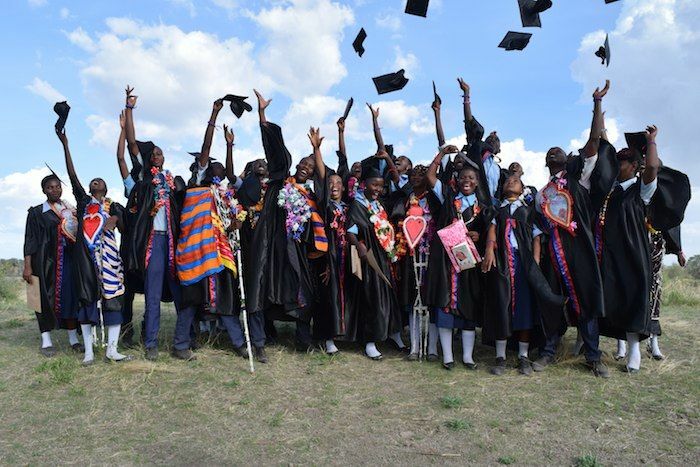 The first students of Mungere School have officially graduated in an inspirational and community-minded celebration. The 29 students donned their hats and gowns and beamed with pride throughout the milestone event, which was attended by more than 800 locals. Dances, songs, and skits were performed and speeches given before a freshly cooked meal was served to all the guests. Much of the graduation service paid tribute to how vital the community both at home and across the globe—has been in supporting Red Sweater Project, set up by Ashley Holmer. 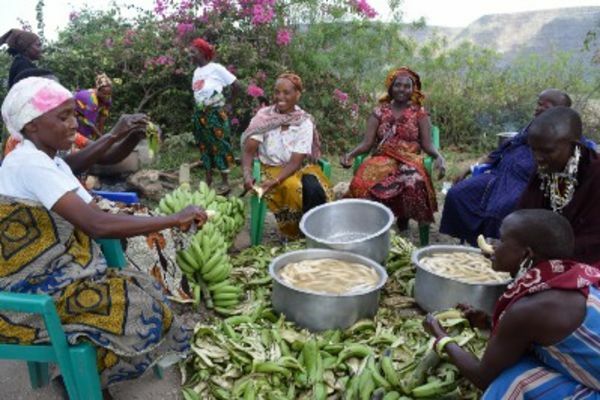 Thanks were given to donors and sponsors from the US, teachers from seven different countries and the Mungere community for helping the project flourish. There are now 101 students enrolled at the school, with immediate plans for a new Form I and Form V. The ceremony also saw the announcement by Board Director Ada Banasik that science and computer labs will be built—to whoops and screams of joy! 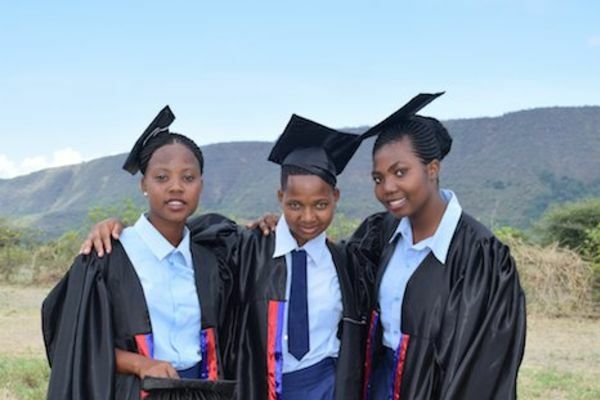 The 29 Form IV students were the first to start when Mungere School opened its doors in 2012. Before Red Sweater Project, they were destined to a life without education because their parents were not in a position to send them to the prohibitively expensive government schools. Now they are on track to continue their education and get good paying jobs, which will in turn help their families and the community at large. The keynote speech was delivered by Barakaeli Kenedy, 19 and Anna Andrea, 17—both of whom want to be doctors. Anna said: “I am the first girl in my family to go to school. I know I will not be the last. For me education is everything. 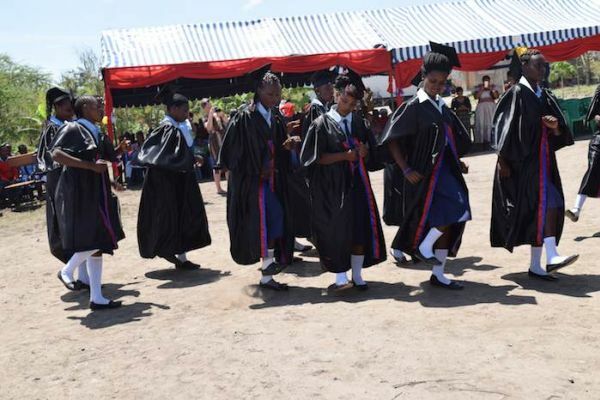 In November, the Form IV students sat 13 National Exams, which mark the end of formal schooling in Tanzania. If they pass well, they can continue to O-Levels—Forms V and VI—where they will specialize in either arts or sciences with a view to going to university. As well as academic lessons, the years at Mungere have seen them enjoy an extensive sports program. They have also received life skills, including how to deal with health problems in rural Africa. In perfect English, Barakaeli Kenedy paid tribute to the education they have received in his keynote speech. 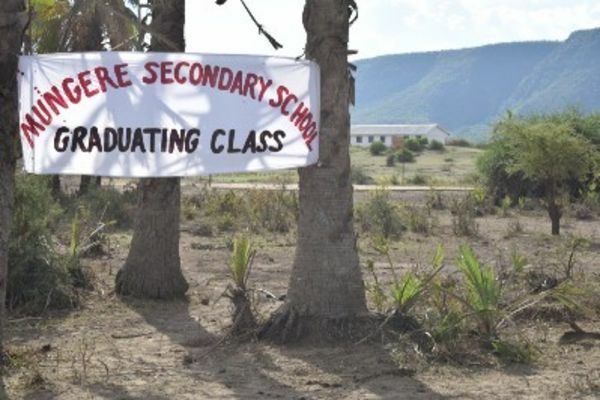 As the audience welled up, he said: “Mungere School has taught us that the grades we earn are not as important as the education we have received. We get grades for writing an English essay, but we get an education for understanding that words are poems and poems are beautiful. We earn grades for taking a history test but we get an education for understanding why men and women can both achieve greatness. The day started at 5 a.m. for many of the younger students, staff, and parents. 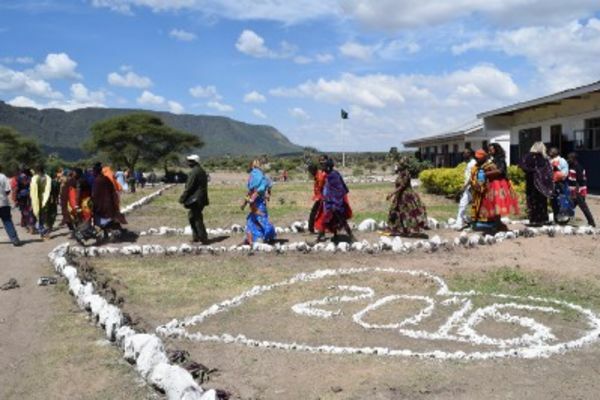 A cow was slaughtered at the school by the Maasai community and then cooked by dozens of parents who had volunteered to serve on the cooking committee. Many parents had given gifts of animals, vegetables, and money to help the event while the younger students acted as stewards and servers. By 9 a.m. the first guests started to trickle in and they kept on coming in their hundreds until the celebration ended when the DJ left at 6 p.m. The Form IV girl’s had clearly spent hours in hair and make-up before they all donned their satin gowns. All looked so much older and wiser than the timid young teens who took their first faltering steps in the English language just five years ago. The younger students at the school danced and sang and wished them farewell—even though the hope is that the majority will return for Form V! 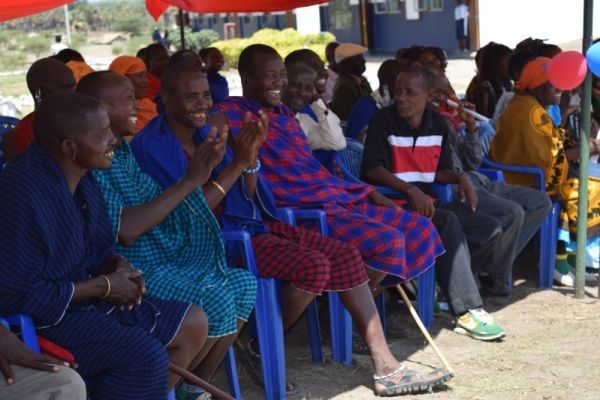 Locals joined the celebration with impromptu Maasai dancing and even singing from a village boyband! Community leaders led the audience in a series of prayers and speeches before the guest of honor, local member of parliament Mr Julius Kalanga, arrived. He paid tribute to the school, noting that the graduating students would never have reached their potential without the project. He also called for the continued support of the community—and even offered a better road for the area. 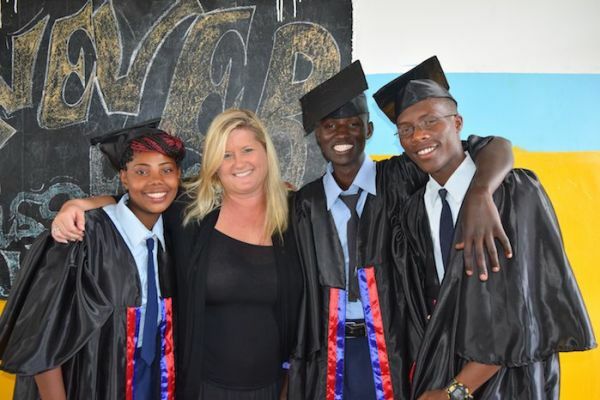 After the celebration, Red Sweater Project Director Ashley Holmer said: “The feeling of simply seeing the first class of students in their graduation gowns was more emotionally overwhelming for me than I had expected. It brought me to tears. “It was the sight of a special moment in the history of our young school. Our dedicated staff and entire community came together and we had a truly special ceremony to commemorate this momentous milestone.